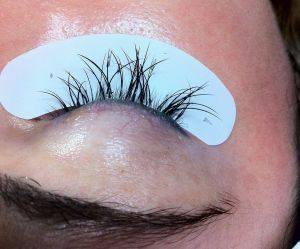 Bad eyelash extensions - Flawless Lashes Here you can see tiny baby eyelashes that have much, much larger and longer extensions put on. This can really stress the lashes and cause damage. We do not do this at Flawless Lashes. Here you can see tiny baby eyelashes that have much, much larger and longer extensions put on. This can really stress the lashes and cause damage. We do not do this at Flawless Lashes. ← Will Eyelash Extensions damage my natural eyelashes?